Have you ever had one of your attendees say, “I didn’t take the feedback survey because I couldn’t find the button in the app”, or “I wanted to participate in the live polling questions, but I couldn’t locate the link in time”? Well, CrowdCompass recently got a major facelift to help deliver your most valuable content front and center at the times your attendees need it most. Your team spends time to ensure quality content is loaded into your mobile app; It’s time to make sure your audience sees it. CrowdCompass is the industry’s first mobile event app to provide event planners with a choice between three completely intuitive event app home screens. If you’ve used a CrowdCompass mobile app before, you’re used to our Classic layout – upon login, you see the usual icons to drive your attendees to the resources they’re looking for. Alternatively, you can select the Activity Feed as your home screen when social sharing and attendee engagement is the main goal of your event. CrowdCompass can now transform your home screen into the industry’s fastest event app navigation system. 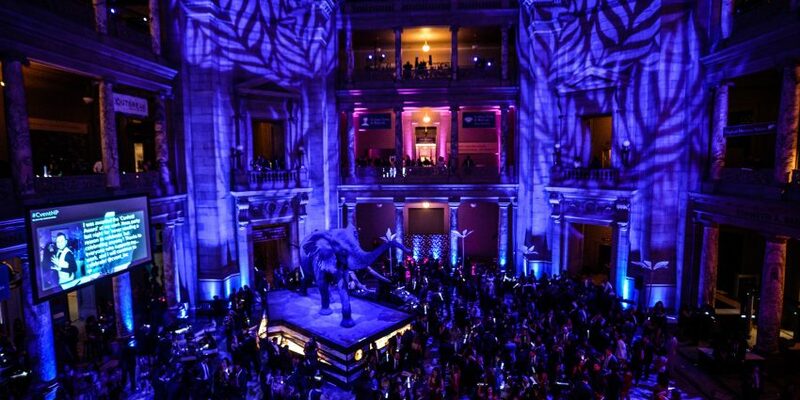 We call it the New Attendee Experience and it is the ideal way to dynamically showcase content. The important material is put at the forefront from your event’s start to finish, so your attendees don’t have to look so hard to find the key pieces of info your team wants to share. 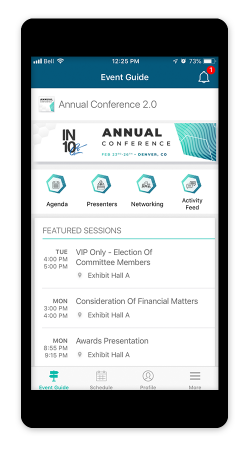 The New Attendee Experience provides endless opportunities for what you can display on the home page. For example, you may want to highlight your top speaker as you near the big day and attendees begin to download your app. Or, as soon as the event ends, you may want that home page to be the direct route to your event’s feedback survey, to ensure you’re gathering as much insight from your crowd as possible. Or, leverage the new “Happening Now” section during the event, which provides easy 1-click link access to features like polling and Q&A. Have a handful of icons your attendees need most, or that you want to drive heavy traffic to? Configure quick-access icons across the top of the main page. Everything’s right where it belongs: in the spotlight. Our New Attendee Experience will only continue to grow over the next few months. You can expect more engagement features such as a countdown timer leading up to the event, 1-click link to build a personal schedule, and even a personal event statistics dashboard once the event has completed. More tools to help drive that mobile engagement your organization craves. Want to learn more and keep up with the updates? Visit the home page here. 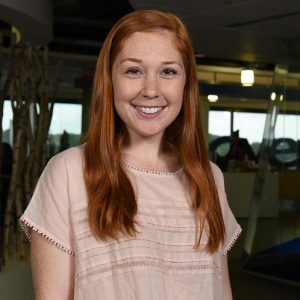 Tristen is a current member of the Customer Marketing team but started her journey with Cvent in the Client Services department about three years ago. She is a Virginia Tech alum originally from northern New Jersey. When she’s not in the office, you can find her training for her next half marathon or hopping on a plane to her next travel destination.